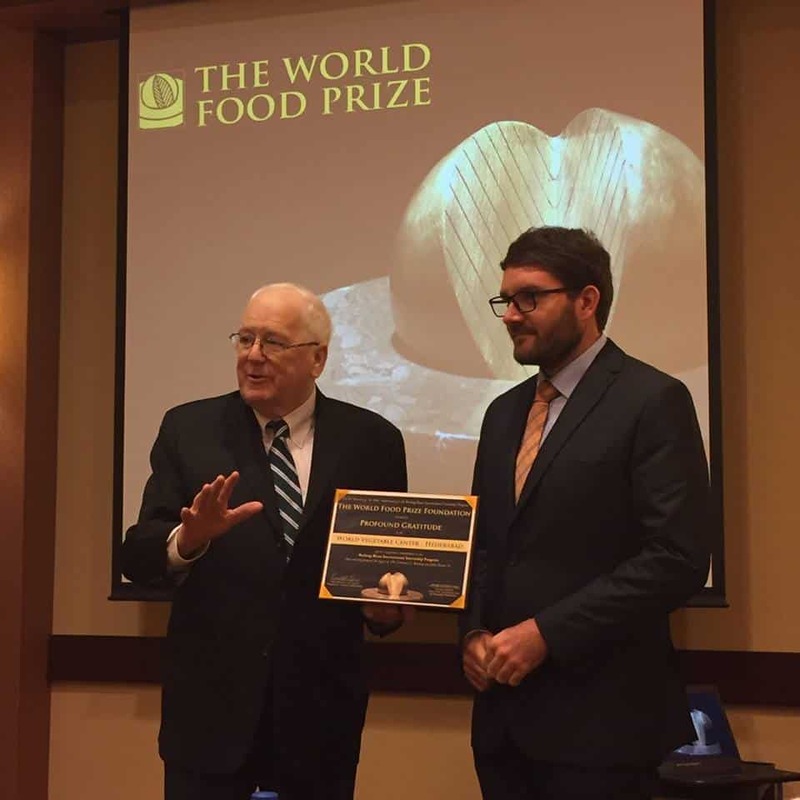 US Ambassador Kenneth Quinn, President of the World Food Prize (WFP) Foundation, presented the World Vegetable Center with a certificate of gratitude for hosting Borlaug-Ruan International Interns at WorldVeg HQ and South Asia. WorldVeg has participated in the Borlaug internship program for more than 10 years; the program aims to promote food security and economic growth by providing training and collaborative research opportunities. WorldVeg researcher Derek Barchenger, a former Borlaug Fellow, accepted the certificate on behalf of WorldVeg.